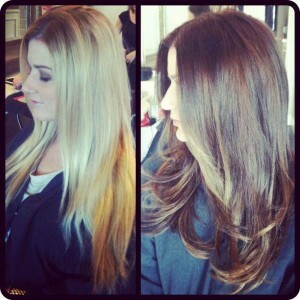 One of my favorite things ever is when a client sits in my chair and tells me they’ve been considering a drastic change. Whether it’s a new haircut or a complete overhaul with their hair color, they all light a fire in me. Though I sometimes think I’m more excited than my clients to make this change, I will never just do so on a whim. Truth be told, a lot can happen to a person when they dramatically change their look, and I feel it’s my duty as a hairstylist to know when my client is 100% ready for this. If you are considering doing something crazy, read my 5 tips first. These are some of the questions I ask my clients, and some of the important questions you need to ask your stylist before taking the plunge. 1. How long have you been considering this change? If you’ve been a brunette your whole life and randomly had a dream you became a bright blonde the morning of your hair appointment, you may want to sleep on it a little longer before jumping. 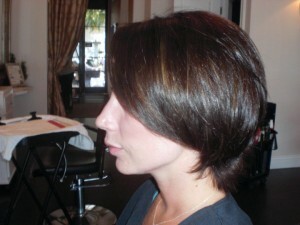 Unless you’ve been thinking about making this dramatic change for some time, you may not mentally be ready for it! 2. What inspired this change? Was it something negative in your life? Our hair is one of the things we actually have control of in our lives, and I’ve noticed that when someone is going through an emotionally difficult time, they turn to their hair to take it out on. Now this can be a great thing if you’ve always wanted to do something to your hair and once a weight was lifted from your life (ahem ahem) now it’s YOUR time to do so. But if you’re feeling down about yourself, hate your long obnoxious hair, and decide you want to chop it off Miley Cyrus style, you’re probably going to feel even worse when you look in the mirror. In my opinion, you should NEVER dramatically change your hair during an emotional time in your life. Trust me please! 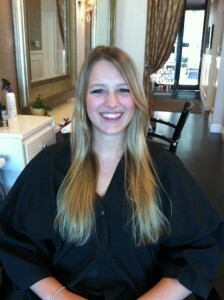 Often times these dramatic changes require more maintenance. From frequent root touch ups to glossing your hair color to keep it vibrant, it may mean more time in the salon and more money. 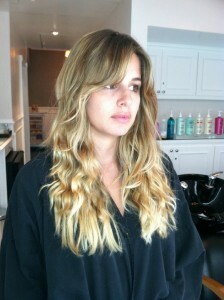 Be sure to chat with your hairstylist about this first, and then decide if it’s worth it to you. If it isn’t, maybe your stylist will have some low maintenance ideas that can better fit your lifestyle and fulfill your craving for a change. 4. What if you don’t like the new color/cut? How hard is it to return to what you started with? Generally speaking, dramatically changing your hair color requires a few steps, and may require even more steps to remove the color from your hair. It’s important to understand that YES eventually you can have your old color back, but it may not be exactly how it once was and it may take a few hair appointments to make it happen. This can also be drying or damaging to your hair, so it’s important to know that your hair will be strong enough to handle this amount of coloring. Once we chop your hair off unfortunately we can’t glue it back on! Growing out a botched haircut can be grueling and test your patience, so be sure you are ready for the change and trust your hairstylist to give you a cute style. 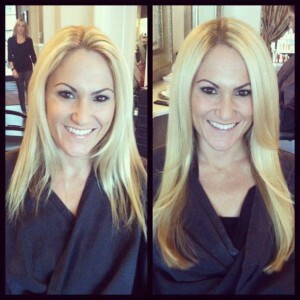 If your hair is at least 4 inches long, hair extensions can be an option for you, but this comes with a hefty price tag. 5. Will this new hair even look good on you? Just because Jennifer Lawrence went from blonde to brunette and looks gorgeous doesn’t mean that it’s best for you. And just because Halle Berry looks super hot with short hair doesn’t mean you will too. This sounds kind of harsh, but it’s reality. 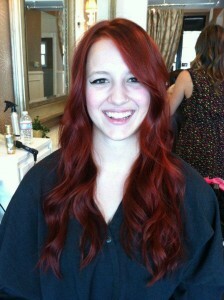 Celebs have hair and make up artists on hand 24/7 and have the ability to always look their best. 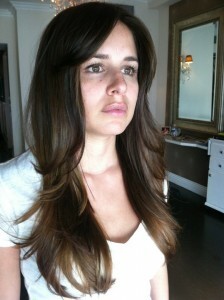 With hair color, you need to consider your skin tone and the make up you wear on a daily basis. If you don’t have the right tone of color in your hair it can actually wash your out or age you (future blog story to come on this topic). 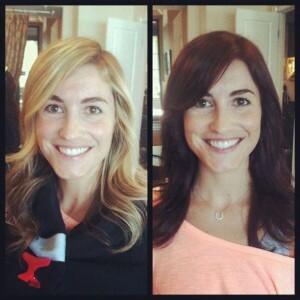 Have you ever dramatically changed your hair?